Snorkelling is a great way to get familiar with the underwater world and have fun with the whole family! Our snorkelling instructors will introduce you to some of our fascinating underwater habitants. 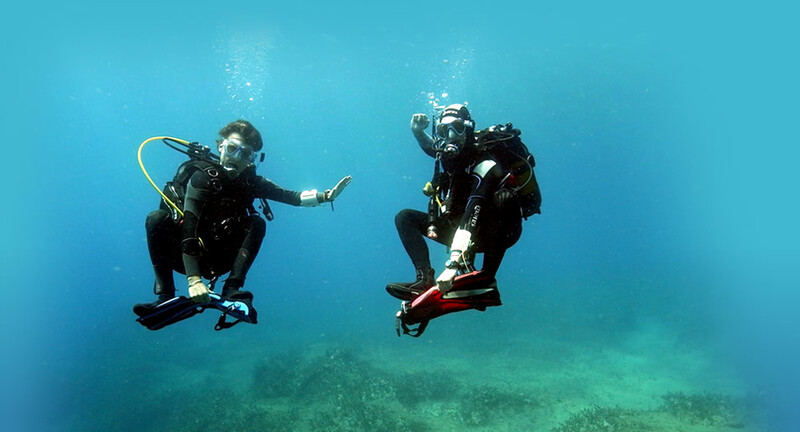 We will adapt the snorkelling course to your level to make sure you feel comfortable yet learn something new! This half-day course will be tailor-made to you, so whether you have never breathed through a snorkel before or are an experienced snorkeler, you can be sure it will be just right for you. Both options offer wonderful snorkelling locations, appropriate for all abilities, as long as you have basic swimming skills. The snorkelling course consists of a briefing and a session of snorkelling skills, all together covering half a day. In the afternoon you are free to continue using the snorkelling equipment to practice independently. Once you feel comfortable in the water we will continue in deeper water, where we will show you how to perform effortless surface dives. To top it off, we will show you the most beautiful areas! To find out about the needed snorkelling equipment, check the Snorkelling equipment rental page.